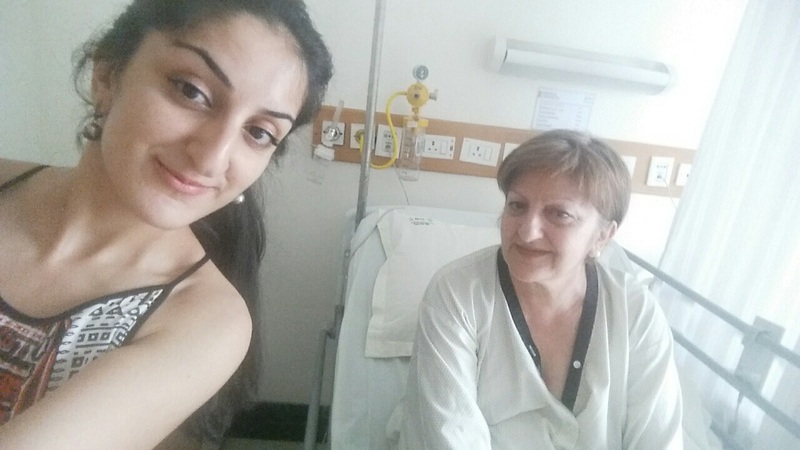 Venera Voskanyan who is a retired teacher from Parakiar, Armenia has been diagnosed with stage III breast cancer. Her monthly pension is $ 100 per month. Her husband has passed away from heart disease. Anush, her only child is a highly educated professional who is desperately trying to save her mom’s life. She makes $ 200 per month.Anush has learned about our organization through a former Iranian roommate and she has reached out to us to save her mom. Venera and Anush have picked India for the treatment due to the advanced medical facilities and inexpensive medical costs. The total cost of treatment including diagnostic tests, surgery, chemotherapy, and radiotherapy is estimated to be $18,900. With your donations, we have covered $7300 of the diagnostics and treatment costs so far. The investigative tests, including mammography, ultrasound and biopsy, have confirmed locally advanced invasive lobular carcinoma, stage III breast cancer in one breast. The cancer has not spread to the other organs yet but would likely spread if left untreated. Hence, the doctors recommended urgent surgery followed by chemotherapy/radiotherapy. With your help, the first surgery has just been performed. The cancerous breast has been removed completely (mastectomy). Since a large of part of the skin was removed due to cancer, skin from her back was grafted to the breast. Breast implant would not be performed. 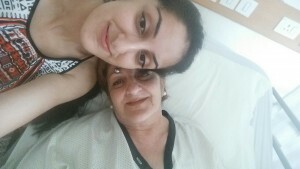 Your help is urgently needed to complete the treatments required and recommended by the doctors. We hope to raise the remaining cost so that she can proceed with the necessary treatments. Please Let us save Venera’s life by contributing to her cause. The money will be handed directly to the hospital. We count on your support. Please donate ASAP and keep in mind that no donation is too small! All donations are tax-deductible.